Best way to transfer an old Win7 PC to a new Win10 VM? I’ve got a six year old Windows 7 Home Premium Service Pack 1 PC that’s getting kind of long in the tooth (though still working fine). I would like to upgrade it to a spankin’ new Win 10 desktop without the weeks-long pain of having to figure out how to migrate my applications and upgrade them, not to mention figuring out all the little Win 10 quirks. So I thought what might be slick would be to make the old machine a virtual machine and then transfer it whole hog to the new machine. I’ve already nudged him toward switching to a Chromebook 🙂 but regardless of how he goes, the proposal raises several interesting questions. What’s the best way to get a “valid” version of Win7 running on a Win10 VM? Where’s the best place to buy a Win7 license? Anyone have experience with a brain transplant? Home › Forums › Best way to transfer an old Win7 PC to a new Win10 VM? mn– 5 months, 1 week ago. Yes. 6 years is pretty young for most of my client PCs. I would replace the hard drive with a brand new 7200rpm drive and re-install Win7. Follow my advice posted here and you will be back in love with your machine. I instead encourage them to install Solid State Drives for a speed increase of at lease 300%. I agree with GAPT, but I would add that probably the best bang for your buck is is to keep the old hard drive for movies and audio and such (which doesn’t need to move fast) and add an additional smaller SSD. I got 128GB for $40 on Amazon. And there was no problem finding room for it. It is so thin and small that I just put it in the gap between the DVD-ROM drive and its bracket, using some bits of the packaging to hold it in place. It’s so much better without any hard drive thrashing, ever. And fast enough boot times that I don’t actually mind rebooting Windows after an update all that much. While it is technically possible, it may violate MS licensing if the W7 machine is using an OEM license. I don’t think you can apply a retail license to an OEM copy of Windows. Windows happily accepts any supported license for the SKU of the cloned Windows version. Actually, you would have to re-activate Windows in the Hyper-V VM anyway so it does not matter whether you use the OEM or retail activation key. A valid Retail license can be moved from one PC to another (possibility a limited number of transfers). You will have to reactivate and may have to go through the “call to MS” procedure and enter the humongous new ID number. But I believe an OEM license is only valid on the one machine on which it was initially installed. And the support is the responsibility of the installer (the OEM vendor in the case of purchase from a company as a new PC, or the individual that purchased the OEM license as boxed OS installer). At least that is what I interpreted the license to say when I have purchased the OEM version boxed installer and installed it on a new PC from scratch. You are correct about the OEM license. I have a computer with an OEM Windows 7 license. I used VMWare Workstation’s program for converting the actual install of Windows 7 into a virtual machine. I then swapped hard drives from my Windows hard drive to my Linux hard drive and rebooted into Linux, and ran the Windows 7 VM in VMWare Workstation. There were a few cosmetic issues, but all seemed to go well, except for one thing — after several days, my Windows 7 VM went from “activated” to “unactivated” – the Windows license quit working. I am certain that this happened because Microsoft sees the VM as a different computer than the one the OEM license was for. And in fact, it is a different computer, if you think about it. You are also correct about the retail license. I have installed Windows 7 and Windows 8.1 as VMs in VMWare Workstation Player, each one having a retail license, and both work flawlessly and have been for several months. Be sure to do a screen capture of the “humongous” activation screen, then print out the screen capture – you can use those same numbers again if you ever need to do a clean install of Windows; and by doing a screen capture and printout of the numbers, you won’t have to call Microsoft again on the reinstall. And then it might also depend on local laws. That’ll be a fun one. There are a number of possible ways to move an installation to a VM, some of them are more of a bother than others. PKCano, I think you are right, but could you buy a retail license, apply it over your current install, then use VMWare Workstation to grab that running system and put it in a VM, all legally because technically, you would never have transferred the OEM license that you flipped to retail? I think you would run into activation issues, unless you use a volume licence version activated by KMS. Legally you should be able to do what you described, on the assumption that you remove the original installation keeping only one installation. You might have to convince Microsoft reps over the phone though when explaining that you want to transfer one activated version to another (virtual) hardware. Where will you find one? You will be hard-pressed to purchase a valid Windows 7 retail license these days. You would have a better chance finding a Windows 8 retail license, but I would be doubtful of your success with that as well. I have many retail licenses of Windows 7. In that hypothetical scenario where I would want to legally virtualize an OEM PC, I thought I could do some kind of change of key (don’t remember if some kind of sysprep tool I never use can do that) using my retail copy key to replace the OEM key, then I would end up having transformed the OEM version to a retail one, then you virtualize it using VMWare workstation. Run VMware converter (free) on the existing install. Convert it to an external USB drive and set it aside. Install a fresh copy of Win 10 on the new PC. (This means a *fresh* copy – not a new machine pre-loaded with whatever the manufacturer installs (bloatware, crapware). Install VirtualBox (free) on the new Win 10 PC and import the Win 7 vmdk’s (the resulting filetype after running the converter) into VirtualBox (can be kept on the external USB if need be). Spin up the old Win 7 virtual machine if and when needed from within VirtualBox. Licensing will go with a Home version of Win 7- no need to pony up for a new license of an old OS. Even if the virtualized Win 7 box barks about not having a valid license, it will run just fine. Thanks. What does the “bark” look like – a message in the notification area? Blacking out the desktop? Something more pernicious? *If* it does prompt you, it will just be the nag message when logging in and a black background. @woody, other than the “OEM vs Retail” licensing issue I described above, the only issue I had was that I could not make the newly-converted-to-VM Windows 7 session operate in full-screen mode. The two VMs that I set up as clean installs work perfectly in full-screen mode, but not the VM that I converted from an actual Windows 7 install. I’m using VMWare Workstation Player as my VM software, and Linux Mint 18.2 64-bit xfce as my host OS. I presume you tried to install the special VMWare guest additions, and that didn’t work? I don’t know about VMWare, but I know that the VirtualBox version installs better if you install in safe mode. Hmmm where to start well Win’s 7 Ent and Ultimate have the ability to run in native Boot VHD’s not, alas, VHDX’s. Which is a pity really as it would be easy in this case to create a VHD, attach it and clone the existing install in to the freshly made VHD. I would imagine VM’s have an ability to handle other Win7 Vers. even though they run in VHD mode “inside” the VM. Best I can suggest, and this is a bit long winded but has worked well for me over the years is to use old SYSPREP then its decision time delete the old user account but keep installed updates and other Programmes including Office etc but remove User preferences or just capture the lot including the user account, insert the newly created .wim file into either the extracted contents of the original Win7 .iso or in the case of a UEFI install use the contents of a Win10 (trust me a lot less hassles) .iso then make either or in to a brand new .iso file obviously taking care to delete the original .wim’s first. Win7’s fortunate in that you can use GIMAGEX (free) for capture either with Boot media i.e. in WINPE/RE or from another installation without using the CMD prompt except maybe x:\GIMAGEX.exe or whatever letter your Boot media, ideally, a USB stick with sufficient capacity. 1. Place system in Audit mode, C:\windows\system32\sysprep run as admin select “Audit Mode” from drop down menu, it then reboots. 2. Disable in Services “Windows Media network Sharing” has to be disabled its a must otherwise stops it dead, Set Registry key persist all driver install’s keeps all the custom driver installs etc that you may have installed etc. HKEY_LOCAL_MACHINE\SOFTWARE\Microsoft\Windows\CurrentVersion\Setup\Sysprep\Settings\sppnp set PersistAllDeviceInstalls to 1. 3. WINSAT PREPOP at cmd prompt to maintain Aeorglass settings optional if Home Edition has that feature. 4. Delete User account for a Generalised image keeping updates, Office etc, but losing user customisations or move on to 5. 6. allow to shutdown while you consider capture with GIMAGEX from a boot stick or another partition, GIMAGEX will run as a standalone in a WINPE/RE environment. If capturing to a USB stick ensure you have one with free capacity of approx. 20gb to be on the safe side. Label and select capture location as you please, note: capture location cant be on the image/partition you are capturing obviously. 7. Take the created .wim file and insert in to the extracted media of your choice and make in to an .iso for use either as an install media for a VM or as a backup copy for future calamity. I see GIMAGEX does split wim’s now and is Win10 compatible that’s a nice touch. Its really turned in to an all round useful tool rather than Win7 specific without capture for long file names peculiar to Win’s 8 and above. Pity with the advent of Win10 frequent versions releases, the need for the above long winded procedure has been negated but handy to know I suppose if you want to keep, customise a favourite version of Win’s 10 8.1 etc. Been a few years since I had to do a custom Win7 image could be a handy tool for Win7 EOL methinks when that sad day comes. Aside from system-builder licenses that may still be available from various vendors (like newegg), there is no “best” place to buy a Win7 license any more. All used licenses are a gamble. This says that it’s permissible to run Win7 in one (and only one) VM on the licensed machine rather than directly on the hardware. It’s quite clear, no legal fog. So, Win10 can be installed on the old hardware, and the old Win7 can run (legitimately) in a VM running under Win10. Activation of the VM by telephone is quick and relatively painless, IME. The basic rule is that a license is required for each Windows you’re running, whether it’s it’s on hardware or in a VM. The old Win7 install is almost certainly OEM-licensed, and it’s possible to pass the ACPI SLIC tables to a VM, thus avoiding phone activation. VMware has, I believe, a feature that supports this (try google). It’s harder in Virtualbox, but not that hard, depending on how nerdy and persistent you are. Phone activation is easier, but see here and here for some details. Backing up the old Win7 and then trying to do a “free” upgrade to Win10 is also possible. This isn’t really kosher, since the original Win7 license is replaced by the new Win10 license. But probably the worst that could happen is that phone activation would be denied and maybe you’d have to jump through the SLIC hoops (or pony up for Win10). I hope it’s obvious that I’m not recommending this, just pointing out that it may be possible. As far as moving the old Win7 install into a VM goes, imaging the old disk and then restoring it into a VM is pretty straightforward. You’ll need a Win7 iso or recovery disk if you want to use the built-in Win7 disk imager. Others have their favorite imaging software and there’s no shortage of recommendations on this site. 1. 8 or 9 years ago I set up a Windows 7 VM by doing a fresh install from media. This was back when I was running Windows 7 on my desktop. 2. I had Windows 7 Ultimate, which provided licensing for a desktop AND up to several VMs – though I did ultimately have to call Microsoft and tell them that I was activating it on a VM. They conceded that the premium-priced Ultimate edition provided the license I needed and gave me the key information to get it activated manually. How nice of them. 3. I Configured the VM to do everything I needed. Any new applications I installed I did so first in the VM to test them out. Any tweaks I considered doing I did in the VM first to test them out. Any product testing I needed to do that could potentially cause a system failure, I did in the VM. Windows Updates? You guessed it. In short, I have maintained a parallel system configuration all along. 4. When I moved my hardware up to Windows 8.1, I kept that Windows 7 VM. At that time I used it to help me set up Win 8.1 just the way I wanted it, and I created a Win 8.1 VM as well. If you’ve got the space – it’s only money – there’s nothing quite as helpful and flexible as having a parallel system set up nearly identically, and that can be trashed and easily restored if there’s a problem… For me, because I have good I/O hardware, VMware snapshots restore literally in seconds. Try something and wipe out the OS? No problem, start over. Install a brand new OS afresh on your hardware, with nothing you’re used to using being available yet? No problem. Just get the virtualization software installed, boot up and run your VM with the previous OS and voila, you have a working, interactive example of just how you had things set up before to work from. Copy data across to resurrect it on your new system. And after you move your host on to a newer system, providing you keep the old VM around, you still have that example old system to go look at at any time, and to test with. This is especially good if you have multiple monitors. I honestly don’t know what I’d do without virtualization. I’ve been doing this “multiple system maintenance” all along, so now I can boot up any older system I’ve had going back to XP, Vista, Win 7, Win 8.1. I have Win 10 VMs, too, though I’ve chosen not to move the hardware host workstation up to Win 10. It may sound like a lot of work to set things up twice, but it actually works out to be pretty easy since once you’ve gotten through it (and gotten it right) on a VM, then doing it again on the hardware host is usually pretty trivial. If you’re going to Win10, go to Win10 Pro. Win10 Pro has Hyper-V. Hyper-V doesn’t emulate hardware like VMWare or Virtualbox and generally passes the hardware identifiers through to the VM. You shouldn’t even need to activate as long as the hardware doesn’t change during the port. If it doesn’t work, it should be a quick reactivate. Getting the image there, disk2vhd was mentioned, you can also try recovery software then back up and restore into a vhd. I used to use an old copy of Norton Ghost most of the time. Full imaging software is generally better. BUT… here’s the but…..licensing is the killer. In order to virtualize on Windows 10 if memory serves me right you need Windows 10 enterprise. In order to virtualize on Windows 10 if memory serves me right you need Windows 10 enterprise. 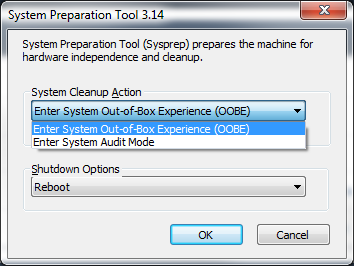 Unless you use a non-MS VM client, like VirtualBox. Just took the first step with VM of Ubuntu and unlicensed Win10. If you have the time, do it to future proof youself. The usable options are endless. Linux is time consuming and can be frustrating, but do it now so you are familiar at least, or have one going, for when you need it. Same for a VM. You will need it one day. If you install Linux as your host OS, and then set up Windows 7 or 8.1 as a VM inside of Linux, you could work entirely in Windows until you are familiar enough with Linux. If you do this now, you will be ready when Windows goes out of support, and the process will have minimal frustration. Heh, we’re long past the point where any significant change in operating systems is likely “time consuming and frustrating” … except maybe in the embedded / realtime market segment. Or you could download a developer edition of 7 from MS. If it is from their site, they even recommend taking snapshots. Do a search, developer edition Windows 7 Microsoft. Make sure you get it from them. No dramas. You will need your original Windows 7 product key. Scenario: You all ready have 7, are ditching Windows, want to have 7 in a VM on Linux, keep your product key, download the developer edition and use the product key… (Hypothetical but it should work) – especially if it is on the same computer the original 7 was on. Reply To: Best way to transfer an old Win7 PC to a new Win10 VM?